Before children are readers and writers, they are speakers and listeners. 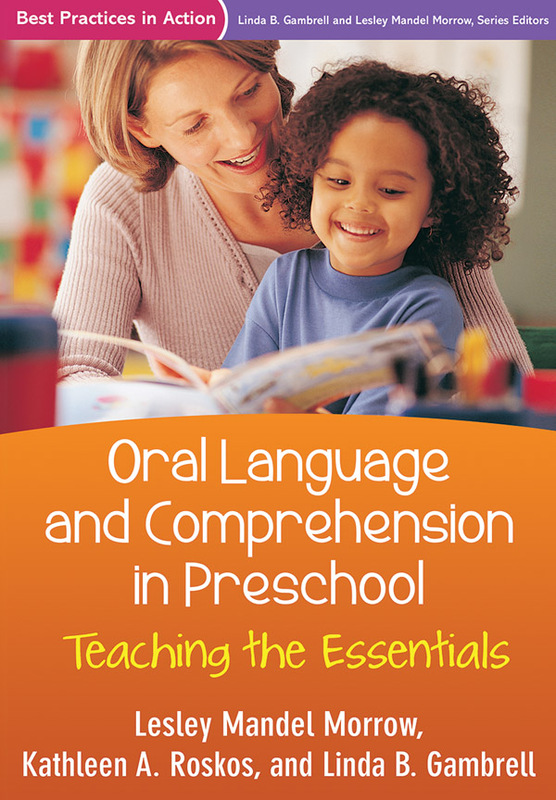 This book provides creative, hands-on strategies for developing preschoolers' speaking, listening, and oral comprehension skills, within a literacy-rich classroom environment. Each chapter features helpful classroom vignettes; a section called Preschool in Practice, with step-by-step lesson ideas; and Ideas for Discussion, Reflection, and Action. The book addresses the needs of English language learners and describes ways to support students' literacy development at home. The final chapter pulls it all together through a portrait of an exemplary day of preschool teaching and learning. Reproducible forms and checklists can be downloaded and printed in a convenient 8½" x 11" size. This title is part of the Best Practices in Action Series, edited by Linda B. Gambrell and Lesley Mandel Morrow.